RSS is a protocol. It provides an open method of syndicating and aggregating the Web content. This section gives a good knowledge on RSS. One must be familiar with RSS Feed on website. 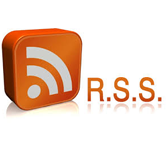 This tutorial is for the readers who would like to write RSS Feed on their website and to publish it. Basic understanding of XML and web-based applications is need to dive into this tutorial.